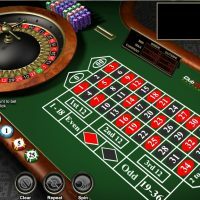 Roulette is a game played by one to seven individuals. Bets are placed by positioning chips on a certain number that they would want to win. These chips are only for roulette and cannot be used for any other game. Each player have a different color of chips, in order for the dealer to recognize who the chip belongs to, making it easier for him to do the payouts later. With this, a rule is set that hands are to be kept out of the table as soon as all the betting is done. The dealer then, spins the wheel. Bets in roulette are of two types, the inside and the outside betting. A point to remember is that roulette is not a game of prediction and possibility. All numbers that are on the roulette wheel l and unplanned, or at random. If you are losing, do acknowledge the fact that you are not simply lucky “today”. Don’t keep playing hoping that you could gain back your losses. You may end up losing too much. Stop, because there are still better days to come. *Keep in mind that you are in the casino to enjoy yourself, to be entertained. *If playing online, read carefully the rules as well as the terms and condition of the casino site. *When playing online, be sure to check the authenticity of the site. *Always allocate a certain amount for the game, for the day. Strictly stick to the limit. *As with any game, a general rule is to gamble only the money that you could afford to lose. Never use the money allotted for paying other bills such as rental, utility bills, etc. You’ll need professional help if you do gamble this way. *practice makes perfect. Before playing for real money, take the time to acquaint yourself first with the game. “Feel” the game. *Don’t gamble with so much money in just one spin. You may lose all in an instant. *In roulette site, what counts are your overall winnings? If you are having a bad day, stop. You can go back and try your luck again another day. *Stay away from alcoholic beverages. Alcohol can greatly affect you decisions in playing the game. Have a clear mind when playing. *Play when odds at a table are only zero. *”Martingdale” is a betting strategy that is the most used by players. This works in such a way that a player begins with a fixed bet, which is doubled when a player loses. The doubling of the money continues until such time that one wins a hand. With this, one automatically gain all loses. One thus begins again, with a fixed bet. *”reverse Martingdale” is a betting strategy which is basically has the same concept as the “Martingdale” betting technique but is a reversal of such strategy. *”Progressive Betting”. This is applied in such a way that a player begins with a fixed initial bet, and every time one wins the bet, he increases the present bet by that initial amount. 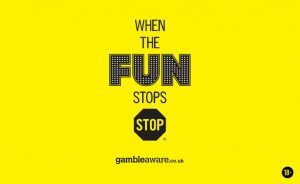 Whereas each time a player loses, the bet will be, betting the current amount but the initial fixed bet is taken away. This works well since as long as a player is winning continuously, the bet is also raising in such a pattern. If a player is losing, the bet will be also in a descending pattern. “D’Alembert” Raising ones bet according to a fixed amount when losing and lowering the bet when winning. “Reverse D’Alembert” works the same as D’Alembert type of betting, but a reversed method. Roulette is an enjoyable game. One can easily have a lot of fun with it. And that is what one should aspire. To have fun at casinos. Nothing more, nothing less.